Avene Anti-Ageing Ystheal+ Emulsion works on two levels to help minimise the visible signs of skin aging with a powerful combination of Retinaldehyde C.T. and Pre-tocopheryl, clinically proven effective and exclusive to Avene Dermatological Laboratories. 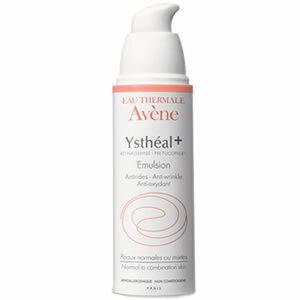 Avene Anti-Ageing Ystheal+ Emulsion provides a visible reduction in the appearance of fine lines and wrinkles and creates a more even, radiant complexion, while skin feels firmer.